Mogudes | Rock and Roll, Rock-a-Hula Baby! | 04-05-2019. Swing Maniacs. Swing a Barcelona. Aprèn a ballar SWING! Lindy Hop, Charleston, Jazz Steps, Balboa, Blues. Festa de Rock and Roll amb photocall i sorpreses! 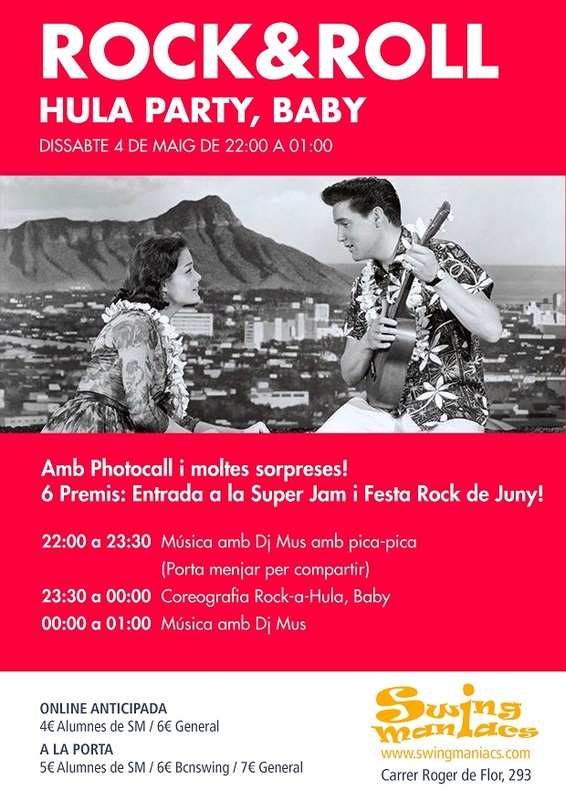 6 Premis: Entrada a la Super Jam i Festa Rock de Juny!